Cultural Front: Haley Reading Group: “A Song of Ice"
Haley Reading Group: “A Song of Ice"
Elizabeth Kolbert comes to her interest in Greenland’s ice sheet after landing there for a funeral for a NASA scientist. Upon continually returning to the ice sheet, she discovers that the ice sheet flows like water and flows faster in some areas than others (96). Kolbert meets a glaciologist Dorthe Dahl-Jensen who creates a device used to track the movement and development of the ice sheet. This article focuses on the impact climate change has on the ice sheet of Greenland and how it alters the lives of people and animal in the community surrounding it. This is the second piece we've read recently about climate change. How has this most recent one expanded or solidified your thinking on the subject? I immediately began to think about last week's reading and all of the dead whales on the shore due to early ice melting. It is alarming to read again about the drastically negative effects of climate change in a different part of the world. 'Just in the past 4 years more than a trillion tons of ice have been lost.' it makes you think of all the animals affected by it. This article solidified why it is important to take environmental effects seriously. Especially, global warming and greenhouse gases. According to the article, currently it's estimated that Greenland is losing about as much ice from calving as it is from melt (pg 98). Once the ice streams in Greenland start to flow, they will be impossible to stop, says the article and the NEGIS has to the potential to raise awareness about it. As I begun to read this chapter, I was reminded by a previous chapter that we covered on climate change. I think this chapter really solidified the importance of climate change and why it is crucial that we need to collectively view its environmental effects with high scrutiny. It is evident through this chapter that climate change is occurring more rapid then common knowledge, and if we don't change what we are doing and stop the release of harmful toxins (such as greenhouse gases) our world will die. It is also crucial that we look at the effects of climate change on areas such as Greenland where trillions of tons of ice is being lost It is important that more awareness is drawn to the topic. Another interesting article on the effects of climate change and the importance to implement change now just like last week. The ice caps melting at such an alarming rate is not only hurting the areas of where the melting is occuring, but also all the coastal areas. We will not only see damage to the areas of wildlife, but also our own food resources and where we live. If things are not taken more seriously with the people in charge up top then things will only get worse quicker then things can get fixed. As I began reading, I thought, "Oh no, not another article on climate change." Not that it is not an interesting subject, but I was just hoping to read about something else. Only because the thought of how human beings are destroying the one place they can survive depresses me. It's as if we don't care that we are committing mass suicides unconsciously. This destruction is only expected to grow in the coming decades. The article has expanded the way I think about climate change because the issue seems so far away when you hear about it. I don't live in an environment that sees the effects of climate change as directly as those who live in Greenland, or those who were affected by the oil in the previous article. But to hear this story, it reminds me that climate change is not only real but it is happening right now. It'snot something that we can prevent anymore,but it has become something that needs to be stopped or at least slowed by damage control. This article has further opened my eyes to climate change and the negative effects that it has all around the world. In the article it say "They have always been adapting to the changing environment... this is their daily life. If they didn't have this kind of know-how they wouldn't survive" pg 105. People have to adjust to climate change just to survive. You would think that if peoples lives were at hand that people would take climate change more seriously. It makes me question how much more we are willing to let happen before we actually start changing what we do and trying to prevent climate change. This has solidified my thinking on how the past effects our future. "This summer's fish kill was a product of warming that had become inevitable 20 to 30 years ago, and the warming that's being locked in today won't be fully felt until today's toddlers reach middle age" (113). As I read this article, the first thing that came to mind was the climate change article from last week. Climate change is an extremely important topic and should be talked about more. The ice sheets melting is making a huge impact on the community. "Just in the past four years more than a trillion tons of ice have been lost. "(96) That is a lot of ice and there seems to be nothing we can do to prevent it. This article gave me a better understanding of the seriousness of climate change by discussing the rate at which ice is melting in Greenland. The article mentions ," ...Negis has the potential to raise global sea levels by three feet (p.99). That is quite alarming due to the fact many areas of the world, and this country alone, are affected by high sea levels already. Rising sea levels can cause contamination in the soil for agricultural uses, loss of habitats, and cause destruction to homes by flooding and severe storms. I was able to observe some of the affects of rising sea level on a recent trip to New Orleans, in which you could dig a whole less than a foot deep in the ground and reach a puddle of water. They are affected by floods and harsh storms. Therefore, if sea levels continue to rise, it would force people living there to relocate to other places. New Orleans is a beautiful city, and it would be extremely unfortunate for people to have to leave a place they consider "home" due to climate change. It is interesting to know and understand how different countries handle climate change and how they adapt to it. Greenland is a very good example on how climate change effects different countries sand how they learn and adapt to it, “They have always been adapting to a changing environment,” Holm said of the hunters and fisherman she interviews. “This is their daily life. If they didn’t have this kind of know-how, they wouldn’t survive (Kolbert 104). The reason they are surviving is because they take note of their changes and have ways in place to adapt. It also shows that when other parts of the world do not do their part, it effects other countries negatively. This article further discusses the effects of climate change, this time focusing on Greenland. This has solidified my thinking about climate change as it goes into how certain sites are being destroyed, comparing it to the Library of Alexandria (107). So much information that has been observed for years are being destroyed thanks to climate change, and soon we won't be able to discover new facts about our earth anymore. This article solidified my understanding of climate change. I understand that climate is serious and it is effecting the world and many natural habitats. However I did not know that the ice in greenland has been melting and the effect that is having. In the article the author states, "... melt is the more worrisome, as in a warming world it must increase" (98). This made me think about the fact that if the rate of melting continues to increase then sea levels will continue to rise which would cause a lot of flooding. This article bolstered my thinking of climate change because it made it seem worse than it is said by people today. You dont really think of what these animals have to do every day in order to stay alive. We just think that things are melting and it's becoming warmer in places that were once cold. A lot of the times we dont think about how their homes are being destroyed and now they dont have anywhere to live. One thing that caught my attention while reading through the text was the fact that there are scientists who dedicate their studies to fields that the average person would not even consider. 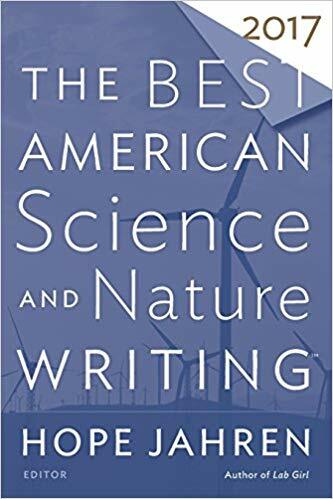 On the bottom of page 99, continuing to page 100, the author talks about a scientist who studied the chemistry of precipitation. Methods were developed to help people "determine the temperature at which the precipitation had formed." This helped to determine how the temperature changed ice layer by ice layer. Who would have known that this was a real thing? There are people in this world who work so hard to combat climate change and it goes unnoticed everyday. Before reading this article i was unaware that Greenland was founded on a sheet of ice. Knowing this fact I am concerned for the fate of Greenland as the worlds temperature continues to rise. One day people may live in a world where Greenland no longer exist and this beautiful natural phenomenon will be lost to the world. Kolbert's article expanded my knowledge of global warming by discussing how the affects of global warming not only affects us now, but also future generations. On page 113, Kolbert stated,"The climate operates on a time delay. When carbon dioxide is added to the atmosphere, it takes decades for the earth to equilibrate." This statement impacted my perspective of global warming the most because everytime we discuss this issue we look at how it's affecting the environment now, but don't consider how we are affecting Earth in the future. This is why we have to start considering ways to prevent global warming now, instead of debating if global warming is a concern or not, as some people still believe it is not a concern. Also, the fact that the effects of global warming don't take in affect until many years later is concerning because the changes that global warming cause might be irreversible. I found it significant how the state of the areas that contain snow and ice are predicted, "... it's estimated that Greenland is losing about as much ice from calving as it is from melt" (pg 98). It's interesting that so many people disregard climate change, because it still snows in winter or summer is still hot. This is actually one of the main depictions of climate change that can be explained: severe seasons. Personally, climate change was already something that was solidified in my mind; I believe that we must change our habits as quickly as possible to try and reverse the already harsh consequences that result from climate change. I think that this article is another great example that can be used to help solidify the concept in those who still neglect the facts. It shows that the problems caused by climate change aren't always right at home or immediate for us to see, and it's selfish to not take into account or to be concerned about what other people/places must endure because of it. After reading “A Song of Ice", it only furthered my concern regarding the effect of climate change. It continued to expand upon and stress the importance the changes to the environment by discussing how the environmental toxins will damage not only the environment but to our bodies. The thought of climate change, as I said in the blog post last week, is something that I have thought about for a while and one that really scares me. "...it now seems likely there will be open water at the North Pole in the summer within the next few decades"(page 110). That is something that jumped out to me because it is so obvious we need to change our ways in order to save the planet. However, there are some people who don't see it as such a huge problem so that makes it harder to fix the problems we've caused. Just like last weeks reading. It's no longer about belief or disbelief. You can not refute solid evidence like trillions of tons of ice lost over the last 4 years. The time to act is now, not when it's too late. I found this article much more daunting. It seems like there are at least tiny ways that we are trying to minimize the shift in climate change, but reading this has made me realize how late we are to fixing anything. The first mention of the feedback loop that is referring to the flow of the ice stuck in my head. Then seeing just how delayed our impacts through carbon emissions are... We can't even recycle things properly and the oil industry practically owns our politics. I can only hope to see the mess we are now causing in the future. Again, read this online. I don't even touch the book.. so.. no page numbers.. This article has solidified my thoughts about the irreparable damages of climate change. "Even if we stop our emissions, even if we go back to a better climate, the damage is going to be done(112). The article solidified my knowledge by giving me more information about how serious climate change is. I don't think we realize how quickly it's happening, and that when it gets too bad, it won't be an easy fix. The author talked about how climate change was both unpredictable and irreversible. Greenland has huge glaciers, so it's scary knowing how bad climate change is already influencing it. Since the article was written a couple of years ago, it makes me wonder what the state of Greenland is now. It goes to show that if we don't try to find solutions to climate change now, it will only become more problematic in the future. I've always been adamant that our behaviors and habits have to change if we want to make a positive difference on the planet. However, this article opened my eyes again to the fact that some of the damage that has been caused is irreversible. That in itself should remind us constantly to think of ways to save our planet. This article is once again proof that we need to take climate change seriously. Despite the enormous amounts of evidence provided supporting global warming, people will deny it due to ridiculous reasons. I hope that within the upcoming years, people will begin to recognize the dangers of global warming or in this situation, glacier melting and rising ocean levels. Like last weeks reading, the part that stood out to me was the consideration of how climate change is effecting the people who live there. The article states ’“They have always been adapting to a changing environment,” Holm said of the hunters and fishermen she interviews. “This is their daily life. If they didn’t have this kind of know-how, they wouldn’t survive”’ (Page 105). I don’t think that we talk enough about how quickly climate change effects those who are living in Arctic climates, because we tend to focus on how it will effect us in the near future. In my past reading, I noted that this type of research makes us realize if we don’t act soon, the world as we see it now won’t be the same in the years to come. Changes for the worse are happening sooner than most of us realize: real, irreversible environmental change is happening right now all around us. The sooner we all get on the same page and do more to fix the problem, the sooner we can save our environment. This excerpt has not only helped amplify my already existent belief on the harmful effects of climate change, but it has also made me realize that this is not only an issue that is dangerous to our society, but is also one that must not be joked about and have serious practices be taken to help decrease this issue. The article by Elizabeth Kolbert solidifies my thoughts in climate change immensely. Personally I think climate change one of the biggest, if not the biggest, issue we face globally just because of the serious impact it has on the entire planet, not just one area. The article states on page 105, “They have always been adapting to the changing environment... this is their daily life. If they didn't have this kind of know-how they wouldn't survive" We have been changing and adapting to live on this Earth for all of time. But now making big changes in the way we do change and adapt is crucial to keep the Earth alive for our children, our children’s children, and so on. If we continue to treat the Earth poorly and help contribute to climate change, there will be huge consequences. On page 113 the author writes, "When carbon dioxide is added to the atmosphere, it takes decades... This summer's fish kill was a product of warming that had become inevitable 20 or 30 years ago." This has expanded my knowledge on climate change by showing me that todays actions can have an effect decades from now. It makes me wonder if we've already caused too much damage to our earth and if we're able to even stop it. This article, much live previous ones we’ve read, solidified my thoughts on how important climate change prevention is. When the article stated that today’s climate change won’t be in effect until “our toddlers reach middle age” further showcases how important climate change prevention is for our future (113). At the rate of ignorance we humans are living in right now though, it seems as though we won’t have a planet to live on for future generations to come. And that is frightening. Raillane K.
I read and hear a lot about climate change. This article just shows that it is something that affects everyone everywhere. Also usually I hear about the ice caps melting in Antarctica, but I think a lot of people forget about countries like Greenland where the ice melting directly affects people and their lives. It really shows how climate change is affecting people and how they live and even if the ice melting doesn't directly affect me, it is still directly harming other people. This article solidified my beliefs on how dangerous climate change is and how desperate the situation is that we make changes to decrease our carbon footprint as soon as possible. Last week's reading kept coming back to my mind during key points in the article. There were also some troubling and interesting facts. I knew that Greenland had a lot of ice and that was the joke of its name but did not know that it was basically all ice. With the way the climate is changing that is very worrisome. It's frustrating that even with solid scientific evidence it is still widely denied. But then again, some people do believe the world is flat. It is difficult to solve a problem if you don't believe it is a problem. I hope we can begin to progress quicker and make changes. In the reading, it says “The ice sheet is so big, at its center, it’s two miles high that it creates its own weather. Its mass is so great that it deforms the earth, pushing the bedrock several thousand feet into the mantle. Its gravitational tug affects the distribution of the oceans” (Kolbert 95). This statement expanded my knowledge of ice sheets and the importance of them. To explain, the initial size of the ice sheet displays the magnitude of climate change. Also, this shows how much climate change has affected our environment. In the end, this article explained the emergency of global warming. This article immediately reminded me of an image I’ve seen that illustrated some of the direct result of climate change. In other countries were ice is also melting and polar bears inhabit, an image was taken of a polar bear whom lost what looked to be an extreme amount of weight and appeared ill. This article about Greenland just adds on to the importance of the awareness of this issue. Climate change is really occurring all around us and just because it may not be affecting many of us directly yet... who’s to say that time won’t come soon. as awoken from its postglacial slumber. Melt streams like the Rio Behar have always formed on the ice:they now appear at higher and higher elevations, earlier and earlier in the spring." The once big block of ice is not being melted away affecting the environment around it. The article shows that climate change and global warning are both still serious problems that seem to be getting worst before better. It stated that once the ice streams in Greenland begin to flow, they will be impossible to stop, just imagine what harm this would do to the animals that habitat near this area. This is a serious issue that lacks the recognition that it deserves. This article is interesting because of the way it has reinforced the idea of needing to promote awareness and action against climate change. Climate change is something most know exists and acknowledge that it is an issue, however, not many actually take action by reducing their carbon emissions, stop littering, or not recycling. We only have one planet, and at our current rate, it will face a dreary future. Reading this article made me realize that the actions we do affects the future of many generations from now. "This summer's fish kill was a product of warming that had become inevitable 20 to 30 years ago, and the warming that's being locked in today won't be fully felt until today's toddlers reach middle age" (113).It seems like what we do doesn't show many affects immediately which can make it seem like it's not a serious issue.It seems like what we do doesn't show many immediate immediately which can make it seem like it's not a serious issue. Because our actions make a promised consequence, it shows how much our actions really affect our planet. I found this article especially interesting after have read the other article on climate change. It is really driving home the fact that climate change is happening now and if changes are not made soon then there will be irreversible damages made. This article emphasizes the fact that ice caps are melting at an alarming rate because of human action. It is important to consider the species and lifestyles that are impacted by such climate change as this. I found the two articles very motivating and I hope to continue learning more about the issue. it definitely solidified my thoughts on climate change in that there is no pretending that it does not exist like most people do. There are facts and years and years of research going into this showing the horrid effects of climate change yet people just plug their ears and run the other direction. An article like this need to be talked about and shown to those people. Animals are struggling for life, people's lives are at stake, the earth is dying and this needs to be a concern for everybody, not just scientists. A song of ice has solidified my knowledge on climate change because on page 95, it discuss how the temperatures are rising which is waking up the sheet ice from its slumber. From my previous knowledge I completely understand what this line meant. The sheet ice is a glacier and as the temperatures begin to rise the glacier starts to move and melt. That line helped solidify my previous knowledge on climate change and the effects it has. Tatyana C.
This was another article that truly touched on the personal aspects of climate change, and the fact that it is currently affecting people and their lives. "[...] this is their daily life. If they didn't have this kind of know-how they wouldn't survive." I think that this article was really meant not just to educate, but allow the audience to empathize and sympathize with those who have more immediate concerns when it comes to climate change. This second reading, to me, really solidified that climate change and its effects are very real and near. Kolbert wrote that the warming that is being set in stone, "won't be fully felt until today's toddlers reach middle age" (113). That is so near! While some think climate change is a myth, the onset of today's effects can not and will not be ignored. As environments will inevitably change, it is a bit unsettling to think that greenland, one day, may cease to exist. Climate change to many is this made up thing. However, in this article it talks about how Greenland was once a sheet of ice. And now much of the ice has melted. If people continue to disregard climate change many of the wonders we have today will be gone. One of the "tell tell" signs of climate change is actually severe weather during seasons. This new reading on climate change helped me to remember some documentaries i watched that talked about climate change. The documentaries showed clips of ice caps collapsing into the ocean. Though some part of the cap would be reformed, the loss of ice and snow was still too much to make up for. I always try and hope that the environment will be better taken care of in the future. But reading the effects that has taken place and knowing that it is going to take a lot to combat the changes in the environment due to climate change, makes me think that we have to take action. This article just builds on to the prior knowledge I have on climate change. To know that Greenland used to be a big sheet of ice is crazy to know how much has changed due to it melting. We can't expect it to get better if we don't make any changes in what we're doing that impacts the climate change.